Herbal remedies for depression – and anxiety, for that matter – are for sure garnering more and more attention. Why? Well, I believe it’s because most enduring a mood or anxiety disorder are coming to realize antidepressants aren’t the end-all, cure-all. And dealing with troubling side-effects isn’t much fun. Rhodiola rosea is becoming a popular herbal remedy in the U.S., in spite of being used for centuries in many parts of the world for coping with stress and so many other conditions. In fact, Rhodiola rosea is found on many athletic training tables in northern Asia. 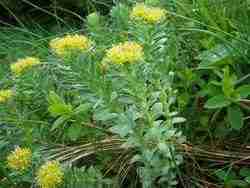 The plant Rhodiola rosea – aka Golden Root, Aaron’s Rod, Roseroot, Arctic Root – is a member of the Crassulaceae family. Other family members of note are the jade plant and Kalanchoe. Rhodiola prefers cold climates, so you’ll find it in places like the Arctic, Siberia, the Rockies, and northern China. Hey, it’s been found at altitudes as high as 18,000 feet (no wonder it can “elevate” mood). Interesting – Rhodiola references the Greek “Rhodon,” which translates to “Rose” in English. See, Rhodiola rosea’s medicinal action comes from its roots, and it seems they have the aroma of a rose. Some supplement users even report a rosy taste. Rhodiola rosea is considered an adaptogen. That simply means it helps the body and brain cells “adapt” to – and resist – physical, chemical, and environmental stressors. Adaptogens also normalize the immune system and balance glucocorticoid levels. Our most important glucocorticoid is cortisol. And cortisol is a major player in the mood and anxiety disorders. Want to learn more? Check-out this chipur article on the HPA axis. Okay, so hundreds of human studies have determined that Rhodiola rosea positively impacts depression. But there’s more. Rhodiola is thought to have plus-influence on the anxiety disorders, physical and mental performance, fatigue, concentration, attention, memory, and stress. Heck, some say it provides a sexual kick. And the best part is, Rhodiola is touted to have zippo icky side-effects. So what’s behind the healing action of Rhodiola rosea? Well, it’s believed it facilitates changes in the goings-on of the neurotransmitters serotonin, norepinephrine, and dopamine. All are involved in the mood and anxiety disorders. And all are antidepressant targets. Rhodiola is also thought to impact opioid peptides, such as beta-endorphin. Numerous compounds contribute to Rhodiola rosea’s effects. However, rhodioloside and tyrosol are said to play the biggest parts. For the record, tyrosol is a natural phenolic antioxidant, the primo source in the human diet being olive oil. Well, since it’s an antioxidant, tyrosol protects cells against injury due to oxidation. And that’s all part of Rhodiola’s action. Now, as we tie a bow on this piece, I need to point something out. 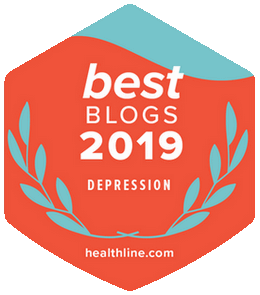 If you’re taking an antidepressant I’d hold back on using Rhodiola rosea – or any herb/supplement that claims to provide relief for the mood and anxiety disorders – until I chatted with my physician. Remember, Rhodiola impacts the same neurotransmitters as the antidepressants. And too much of a “good thing” can cause major problems. Actually, it wouldn’t be a bad idea to touch-base with your physician before embarking upon any herb/supplement journey. Okay, I’m not big on passing along recommendations when it comes to meds, herbs, and supplements. And I’m sure as heck not into providing dosing information. I mean, we’re all built differently, and I’m not willing to take on the liability. That said, I have heard from several sources that these Rhodiola rosea products are worth a look-see: Rhodiola Energy by Enzymatic Therapy and Rhodiola Force 300 by New Chapter. Well, that’s the skinny on Rhodiola rosea, a rising star in the universe of herbal remedies for the treatment of depression. Sure hope you found the information helpful. Hey! We’d all like your opinion regarding the use of herbal remedies for the treatment of the mood and anxiety disorders. Please check-out the poll just below the video – top, right. Always – thank you for visiting chipur!!! Thanks to foxnews.com and wikipedia.org for the resource material. Thanks to Opioła Jerzy for the image. 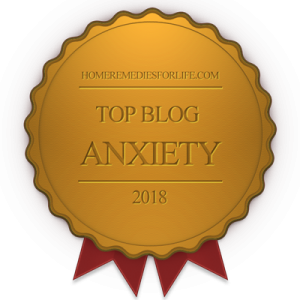 Would you like to read more chipur articles pertaining to meds, supplements, and devices for the mood and anxiety disorders? Then click right here! Previous Post: Feeling Depressed? ALKS 5461: The Fix of the Future?